A History of Murder Personal Violence in Europe from the Middle Ages to the Present | Free eBooks Download - EBOOKEE! Pieter Spierenburg, "A History of Murder: Personal Violence in Europe from the Middle Ages to the Present"
This book offers a fascinating and insightful overview of seven centuries of murder in Europe. It tells the story of the changing face of violence and documents the long-term decline in the incidence of homicide. 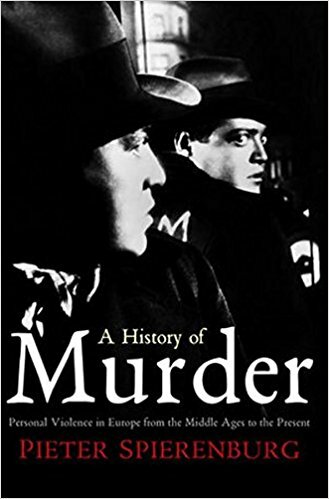 From medieval vendettas to stylised duels, from the crime passionel of the modern period right up to recent public anxieties about serial killings and underworld assassinations, the book offers a richly illustrated account of murder's metamorphoses. In this original and compelling contribution, Spierenburg sheds new light on several important themes. He looks, for example, at the transformation of homicide from a private matter, followed by revenge or reconciliation, into a public crime, always subject to state intervention. Combining statistical data with a cultural approach, he demonstrates the crucial role gender played in the spiritualisation of male honour and the subsequent reduction of male-on-male aggression, as well as offering a comparative view of how different social classes practised and reacted to violence. This authoritative study will be of great value to students and scholars of the history of crime and violence, criminology and the sociology of violence. At a time when murder rates are rising and public fears about violent crime are escalating, this book will also interest the general reader intrigued by how our relationship with murder reached this point. No comments for "A History of Murder Personal Violence in Europe from the Middle Ages to the Present".